I like The Tale of Genji, in Japanese Genji monogatari, then I made this page. This english pages's updete pace is very slow. And contents are smaller than my Japanese pages. If you want to read more contents in my site, please read Japanese page. I will show you other pictures here. 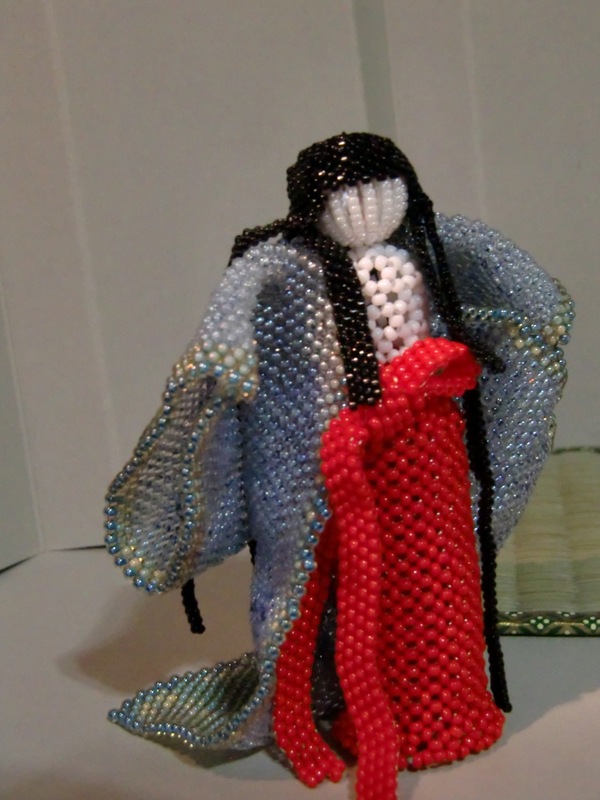 I am showing my other beads doll from "Beads doll" upper this page. I present for you my Genji clock.